Aristotle argued that in theory one could acquire knowledge of the natural world. But he did not stop there; he put his theories into practice. This volume of new essays shows how Aristotle's natural science and philosophical theories shed light on one another. The contributors engage with both biological and non-biological scientific works and with a wide variety of theoretical works, including Physics, Generation and Corruption, On the Soul, and Posterior Analytics. The essays focus on a number of themes, including the sort of explanation provided by matter; the relationship between matter, teleology, and necessity; cosmic teleology; how an organism's soul and faculties relate to its end; how to define things such as sleep, void, and soul; and the proper way to make scientific judgments. 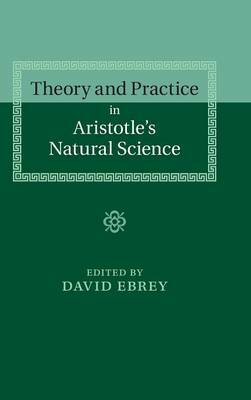 The resulting volume offers a rich and integrated view of Aristotle's science and shows how it fits with his larger philosophical theories.